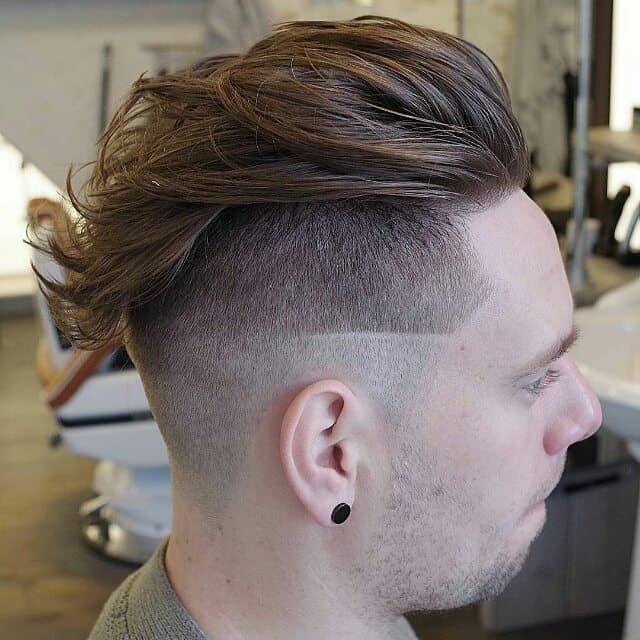 Admit it or not, one of the top of the list topics on fashion for men is the ﻿trendy undercut haircut. It is one of the trendy haircuts wherein you can shave your head, but can still have your medium to long hair. So, how to do an undercut? Well, it is just easy. You can simply have your hair on the sides shaved and leave the remaining hair on top of your head. Sounds easy right? For sure the next question you will be asking is how to style an undercut? Well, for that question, you will have a lot of options to consider so you could achieve the look that you wanted. However, you might want first to check on the following ideas before having your hair chopped off just to give you some relevant information about having a good hairstyle. Why Is Your Hairstyle Important? What Is My Attitude Towards Life? 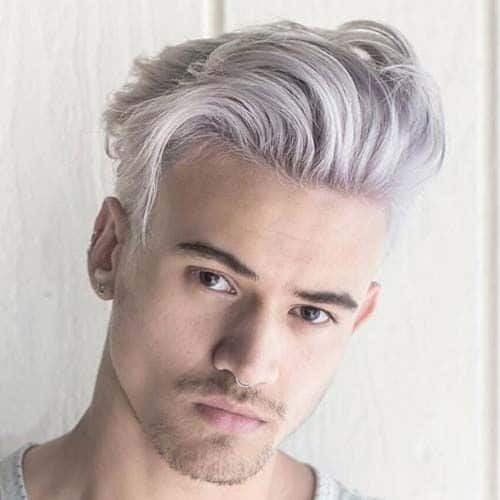 Will I Be Attractive With This Hairstyle? Some men don’t care about how they appear in front of other people. 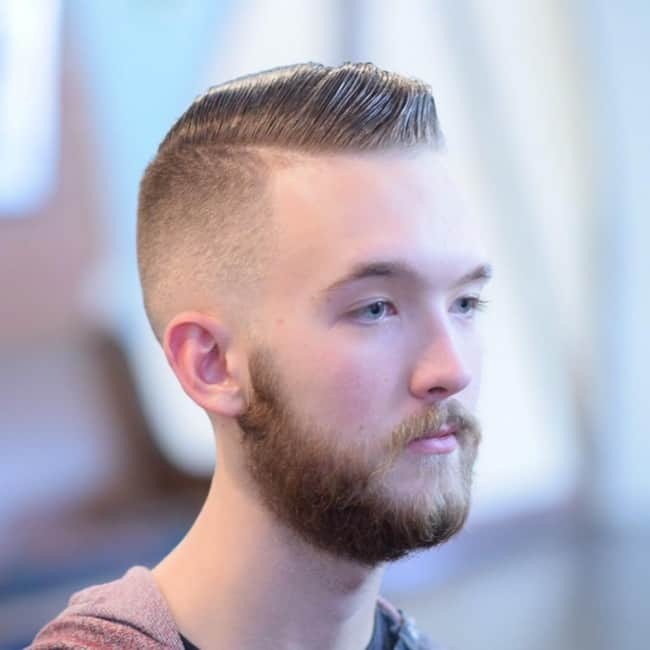 However, some are into finding the best haircut that will suit their styles to make them look good and impressive enough for other people or most especially to someone they are interested with. It is important to know your character when choosing the hairstyle that you wanted to achieve. Do you want to be seen as a rockstar? A sporty type person? A Model? An Emo? Determine what you wanted to be. Well, it may sound absurd, but your hairstyle determines your attitude towards life. Say, if you have a messy hair, people will see you as a stressed person. If you have a neat haircut, you are indeed a professional. If your hair is stylish, well, they assume you’re into fashion. No matter how difficult to choose from various hairstyles, you will always have your best option for yourself. Try not to rely on hairstyles of several actors or models because sometimes, the haircut that makes them attractive will not always be the same with you. 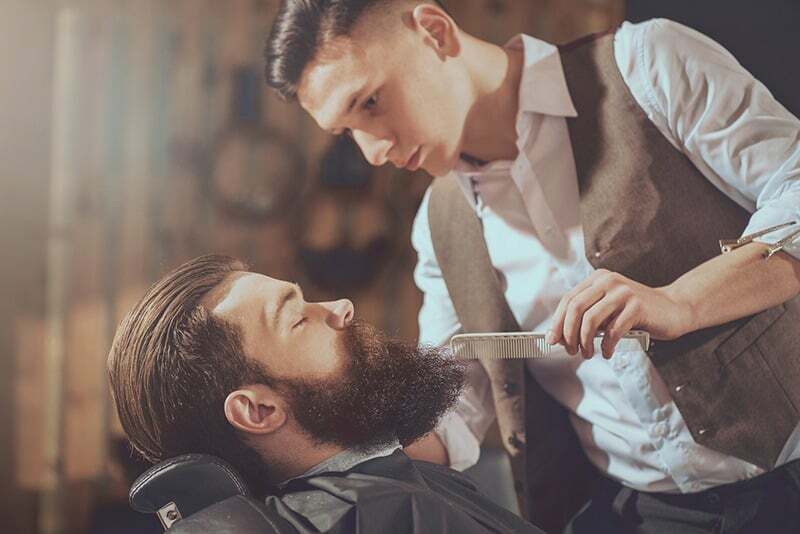 With the different stylish variations of trendy haircuts and hairstyles that are in the men’s runway, we think you need to take a few minutes to read the following before letting your hair chopped. Alright, so you have seen a well-known actor and he got this new hairstyle to which you think you wanted, too. Yes, you are free to say that it is totally perfect for you! That is fine. But, you need to think it over again. Why? Yes, it is a fact that the hairstyle is good for him making him more gorgeous. However, try asking yourself. “Will it look good on me?” Check out your facial features if you think it will be suitable for you. Also, identify your personal distinctive traits that will compliment your facial characteristics. Get your best hairstyle that matches the characteristics of your face. Not all trendy hairstyle suits everybody. The structure of your face is always a big factor when choosing the hairstyle. 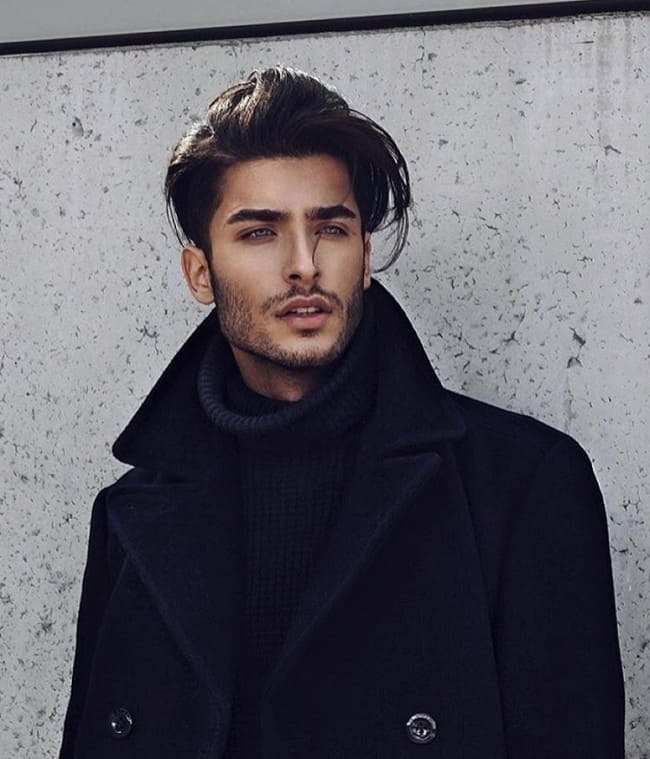 Most hairstyles compliment facial structures with noticeable jaw line. In some cases, wherein you have prominent features like having big ears, wide forehead and the like, you can actually balance it by moving the attention from it and instead attract through opting and trying out a good hairstyle. 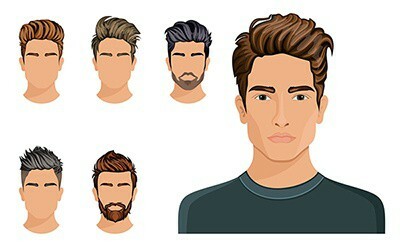 It should be noted that in order to achieve your wanted hairstyle, you need to determine your facial characteristics. If you have a wide forehead, one of the best ways to balance it out is through a fringe. Have your sides longer when you have big ears. If the shape of your head is round, it is good to create a bulk on top and have short sides. Know everything about your hair – texture, color and type. 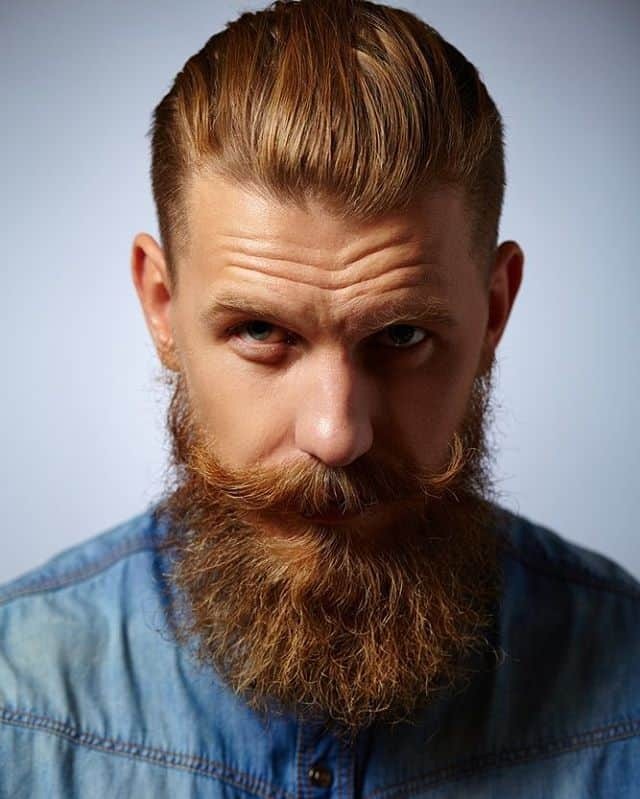 If your jaw is round-shaped, one of the best ways to balance is having a beard. Another important factor is making your hairstyle appropriate to your age and kind of business. Well, we hoped that you might already have something in your mind about getting a good haircut. Going back with the trendy undercut, you can actually have it done. It is just that you really need to select which type of variation will be the most suitable for you. It should blend with the characteristic that you have as what we have discussed in the previous paragraphs so as you will definitely look fantastic with it. Truly, one of the current trending hairstyles that you might want to try is the undercut. It is simply because it makes you feel classy and unique in terms of its refined look. It is also a good match with the trending fashion for men which make it perfect. It has a lot of variations which you can choose from. Styling it ﻿﻿﻿﻿with several ways can be one of your habits when you try to have this cut done for you. The following guide will help you understand further on how to do an undercut, how to style an undercut, and other relevant tips that you will find very helpful in the end. 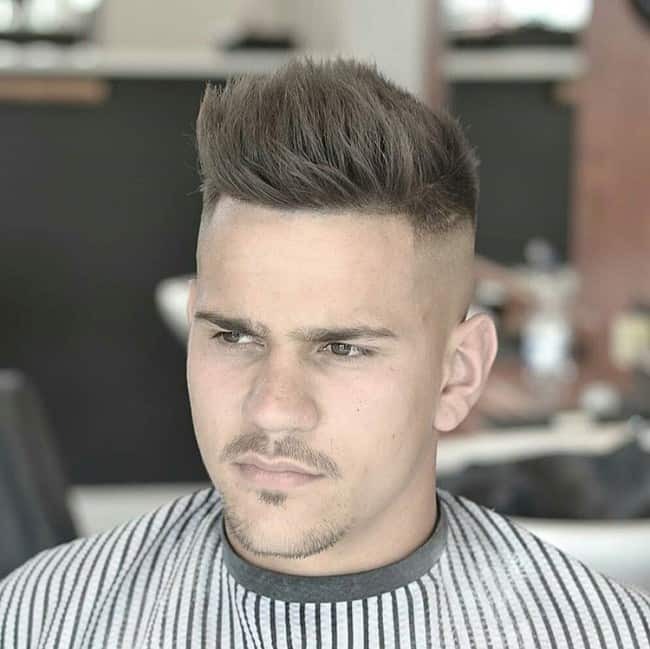 This type of haircut is easy because it can actually be done in a few minutes as long as you have a good quality of hair clipper. In order to achieve an undercut, you just need to draw a haircut line in the proper place. This is important to emphasize a parting line on the level of your upper temple. This means that you need to create a defined horizontal line beginning from the left side then at the back of your head then to the right side of your head until the created line meets from both temples. So, maybe you are wondering where to find your temples? Face in front of the mirror. Check the part of your hairline which makes an angle. Check your eyebrows and draw an imaginary line beginning from the outer part of it. Now, meet the line in your hairline which makes an angle with the imaginary line from your eyebrows. That meeting point will be the start to create an emphasized horizontal line which will be called to be the upper area of your temple. 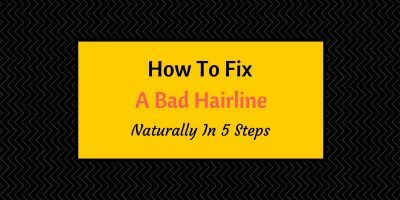 By having this as a guide, all of your hair below the disconnecting line will be totally shaved off. 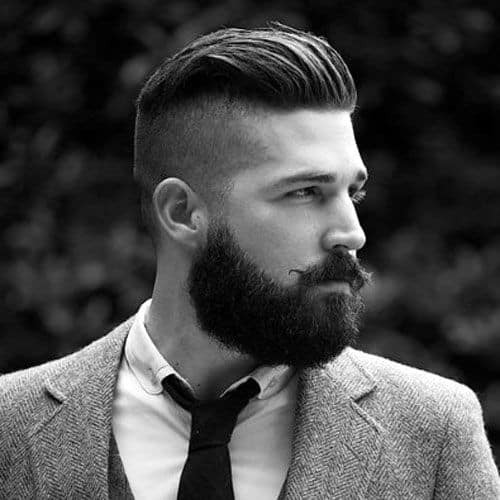 However, if you wish to achieve a more styled undercut, then you need to find a good barber who could do it for you. There are several hairstyling products can be used when you wanted to style your top hair. You may opt to have wax, gel, pomades, mousse or spray to finish the style you wanted. With the various options that you wish to try, you may want to know how these styling products may help you. Pomade - This is often used to flat hairstyles of men. It is typically used with the slicked back undercut variation. Typically, pomades were oil-based, but then as modernization came along, there are also water-based that has been produced. Wax - This product is mostly used when you wish to brush up your top hair in a vertical way. Thus, you may select your preferred holding strength for your hair. Cream - If you have a curly hair, then this product is the most suitable for you as your hair shines naturally and creates a greater volume. Gel - You may use gel to style your hair if you wish it to brush up your hair with spikes. Take note that in order to use it more effectively, apply it while your hair is still dripping with water. 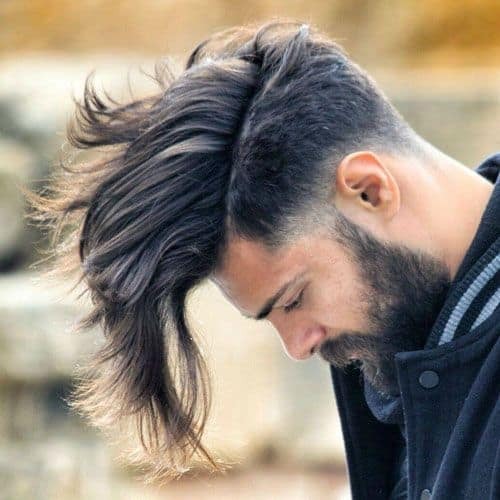 Having known those products, you should also remember that in order to emphasize your undercut, style up your hair on top to make you feel a lot cooler. This variation of undercut is a contemporary version of the regular undercut. 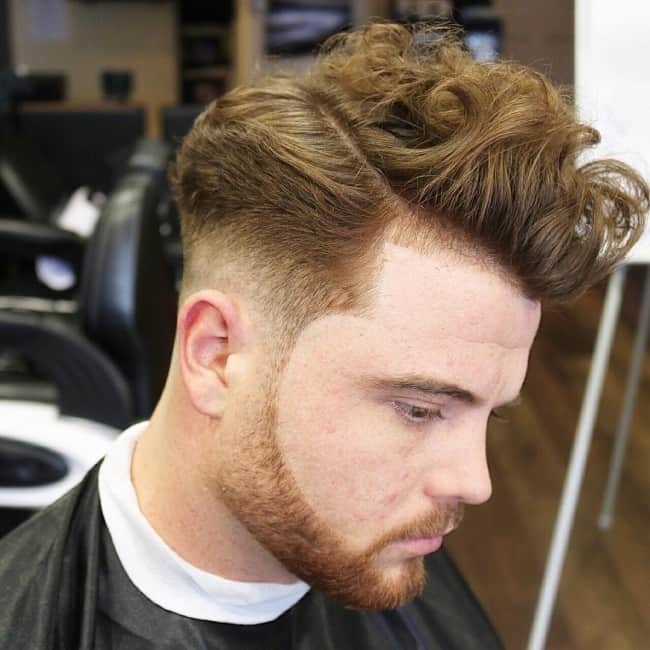 It has been one of the popular hairstyles that men love as it has a stylistic twist which makes you classier and is appropriate to almost all of the occasions. Tip: Slick your hair back and apply an excellent quality hair product. You may use pomade, a wax, or a gel. However, we often recommend pomade as it provides a glossier and shinier slicked back undercut. Try getting pomades which are water-based as it avoids a greasy hair when applied. This type of undercut is one of the dramatic variation to which is also noticeable. Your hair on top is disconnected through a defined line to which separates the short and long hair. This is more applicable with longer hair to create a more volume on top. Tip: You can achieve this hairstyle with the aid of an excellent hair product which is suitable to the texture of your hair. A stronghold is a must if you have a thick hair, else a medium hold would be enough. This type of undercut will make you classy and trendy. 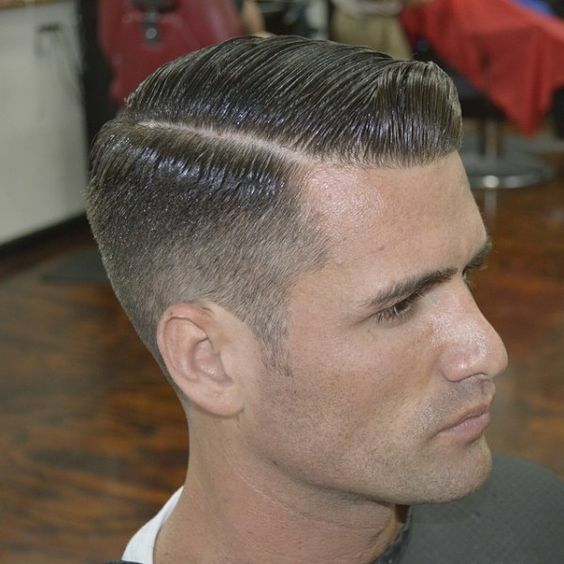 Tip: Style your elongated hair backwards and apply a gel or wax to shape your hair similar to a pompadour. ​This type of cut is suitable for young as well as middle-aged men. This type of undercut can be enhanced with shaved designs created on each side of your head. 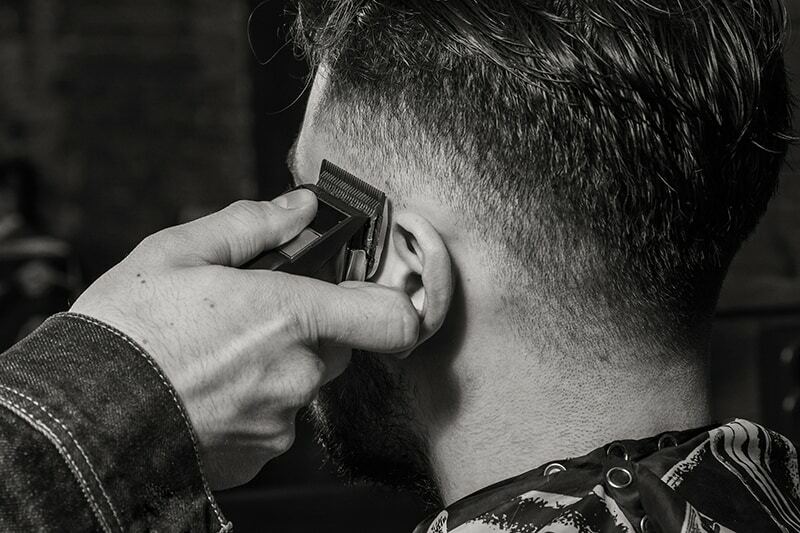 Tip: We recommend a regular visit to your barber in order to preserve the shaved designs. No need for further styling. 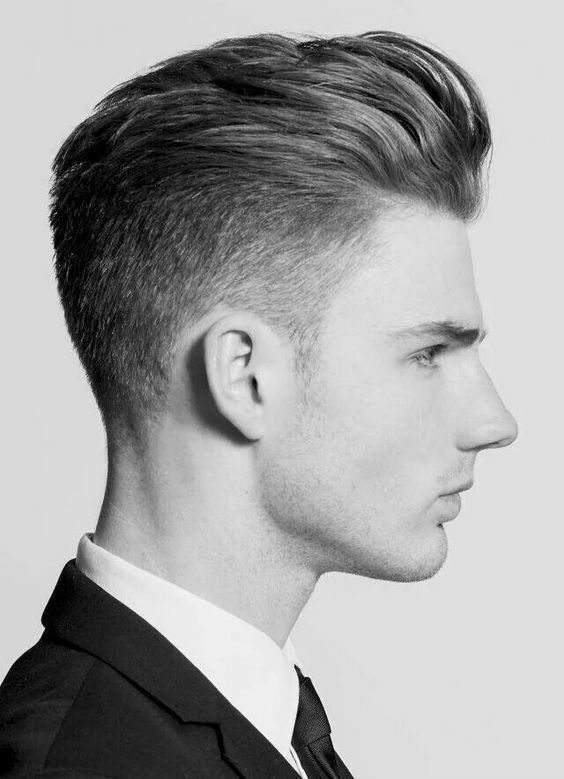 ​This hairstyle variation of undercut is much better if you have a curly hair. The longer your hair on top, the better the result you will have. Tip: We recommend a good quality hair styling product such as gel or wax and apply to your bangs which will create a punkish look. Having a problem of not having a square face? Well, this is the solution for you to have an undercut. Tip: We recommend that you put a distinctive characteristic to this style by creating a high contrast on the lengths of your hair like emphasizing short sides which forms a square face contour. If you are a person who is very choosy when it comes to hairstyles, then this variation is very much ideal for you. You will appear to be formal and decent, yet trendy. Tip: Simply brush your wavy hair strands with your fingers backwards. 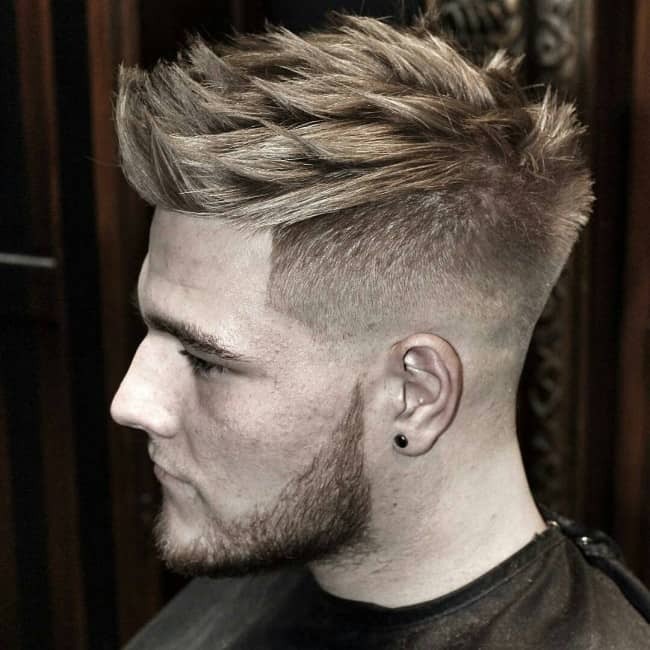 This is a combination of the undercut and the fade technique. Tip: Maintain this kind of hairstyle by not having your top hair shaved too short. See to it that you comb your hair directing to the side of your head and some going to your back. This is for the purpose of emphasizing the parting line that was created. ​This variation of undercut is another attractive option that defines a short trimmed portion of your hair which is below your top hair. From that part, there is another shaved portion which creates an imaginary hairline that looks like a marked double layer. 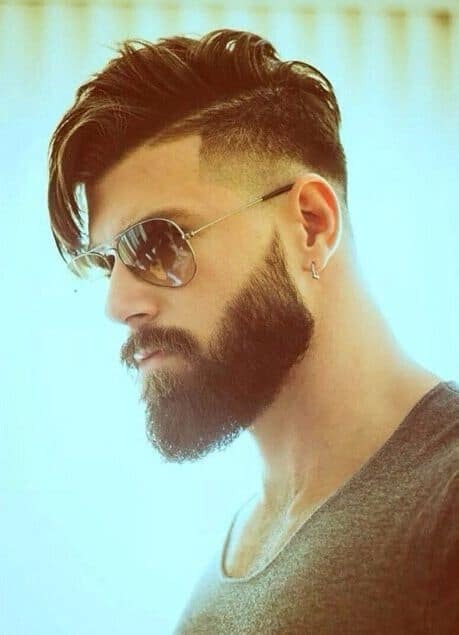 Tip: Have a long neat beard that will perfectly match with this hairstyle. 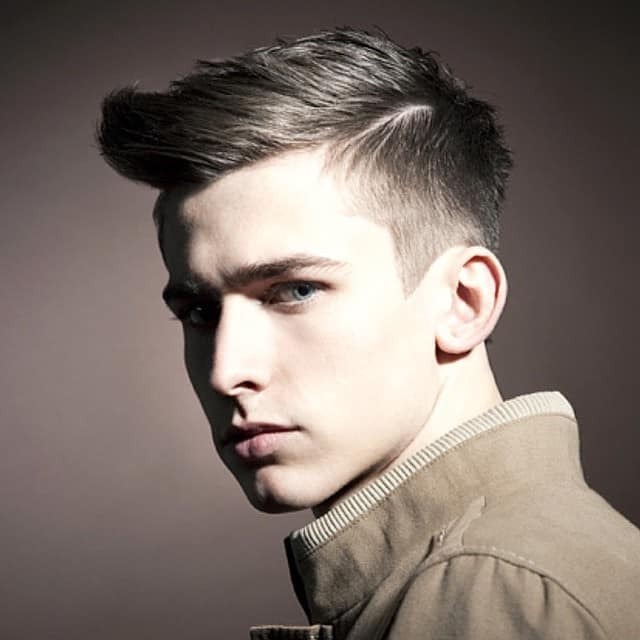 ​If you want to have a young boyish look, this variation of undercut is one of the best hairstyles. Tip: We recommend that you do not have to make a very short undercut. Keep the longer parts of your hair on one side or you may opt to create a good volume like a bun. Use a good quality hair product that will hold your hair in your chosen style. This version of undercut is amazing if you have a naturally, curly hair. 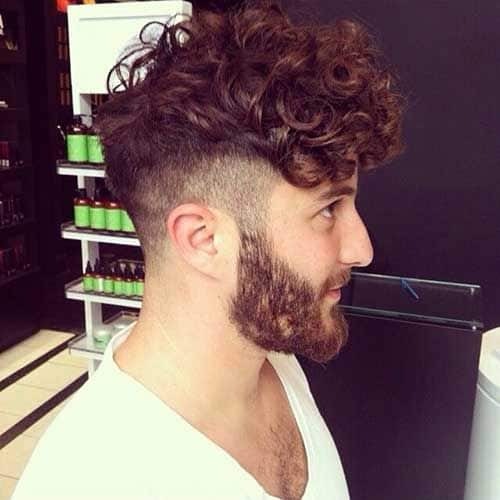 Having a curly hair creates more volume as well as other styling possibilities. However, it is also quite challenging to handle such. Tip: We recommend that you apply a texturizer on your hair. This will help you look cleaner. Also, try to have your undercut done smoothly so it will look nice. This is the type of modern undercut which can make you a head turner. Get the edgy look with the use of a razor directed upwards. Tip: We recommend that you make the top section of your hair into a square shape and apply some polished highlights on your hair so as to look more charming. Having a short hair is not a problem if you wish to have an undercut. You can achieve a classic style of undercut by having your hair cut finely into square angles then slick back your upper hairs. Tip: Apply a good quality styling product like gel and finish it with a semi-matt. 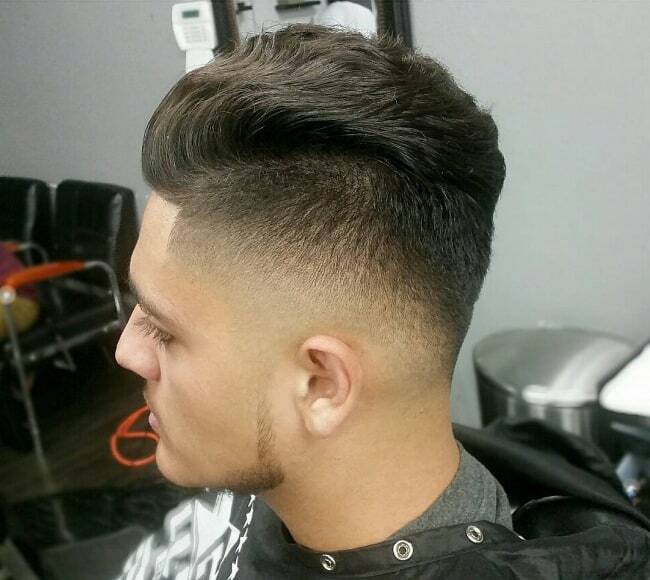 If you wish to have a fashionable and unique, yet stylish undercut, then the military cut will look good on you. Have your hair on sides be perfectly shaved to achieve a better look. Tip: Your hair at the sides are ideally faded which should be complementing with the appearance of your top hairs. ​This is the opposite version of the slicked back undercut since you are going to style your hair forward. 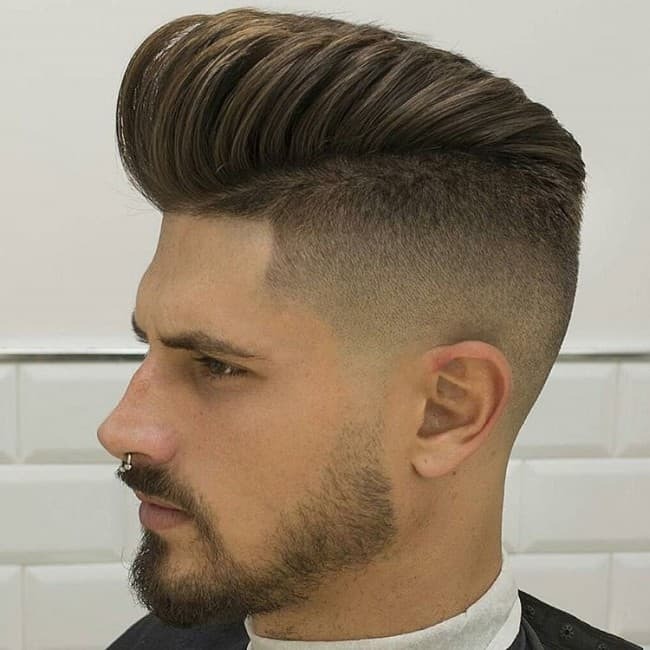 This makes a unique type of undercut since you can achieve either a vintage or modernized look as it depends on your own preference. Tip: Create twirls towards your forehead if you wish to achieve a vintage look. Otherwise, use a styling product such as matte to have your hair finished perfectly. Have this as an experiment to work out a new undercut hairstyle as long as you are not afraid to try it. If your hair is quite thick and you are brave enough to try this, then you will achieve an impressive look with this curvy side under shave. Some men prefer not to have a beard. However, if you try to complement your beard with matching hairstyle, definitely, it will give you more appealing look. 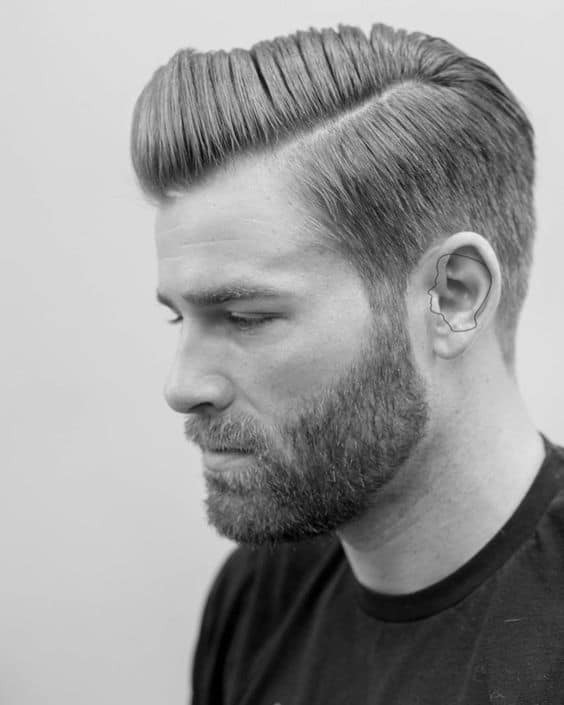 ​This variation of undercut hairstyle is most suitable to men who have thick and dark to dark blonde hair. Tip: Leave the top portion of your head with the longer hair. Brush it backwards or sideways to make it more stylish. 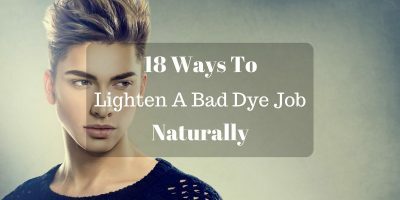 You may also want to bleach your hair with a light tone. 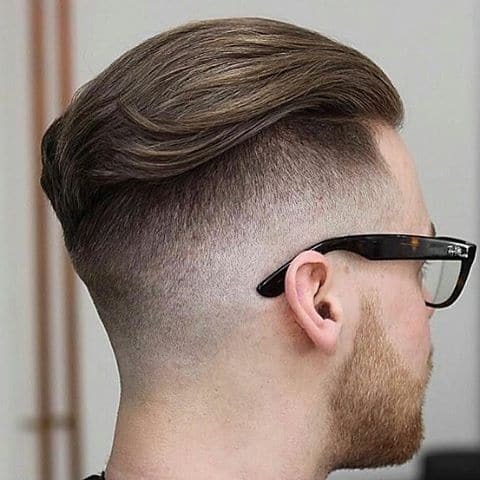 ​This is a very suitable variation of undercut if you are a person who works during the day and has to be in a formal look. This hairstyle variation of undercut is attractive if you have a long hair. You do not need to cut your long hair just to have an undercut. Tip: You can tie your hair if you wish to show your undercut, else you may opt not to reveal it. If you are not totally ready cutting your hair with the different styles of undercut, then this type can be your choice as long as you have medium length hair. 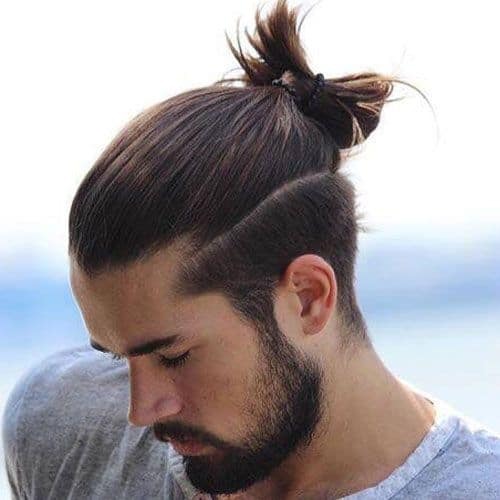 This hairstyle will make you look good but is actually not showing that you cut your hair with an undercut. 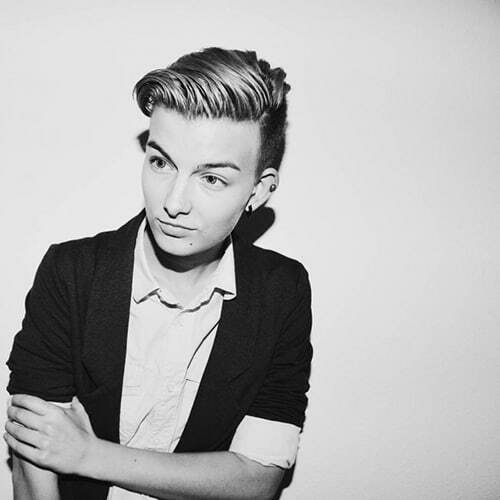 ​If you wish to have a more versatile type of undercut, then you may opt for this stylish look. Tip: A greater volume of your hair on top should be defined. If you have a longer hair, try to braid or make a ponytail. After which, you may choose to apply a bright color to add a funkier look. We recommend that you do not apply permanent colors so that you will have more chances of finding the best color for your hair. If you have a long hair, then you may opt for this style. 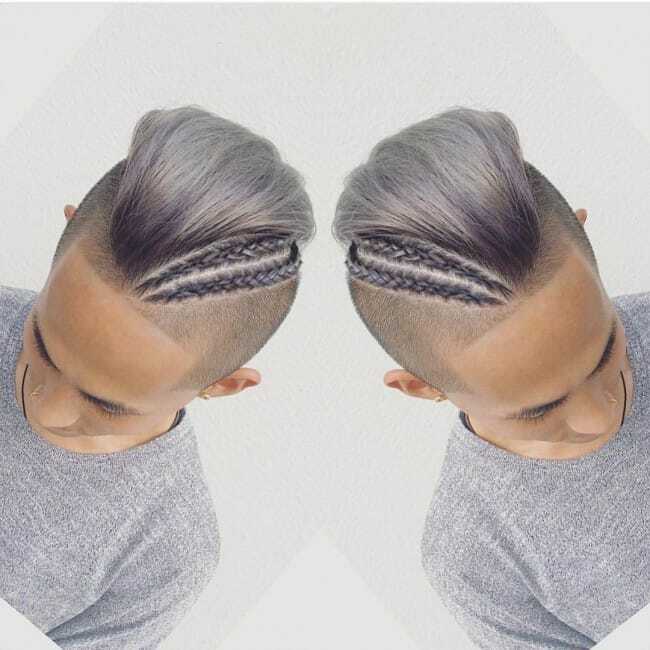 Braids and dreads can also be a good match with an undercut. Tip: Braid your hair with small braids or make several dreadlocks, then shave the sides with the level you which you think looks good on you. 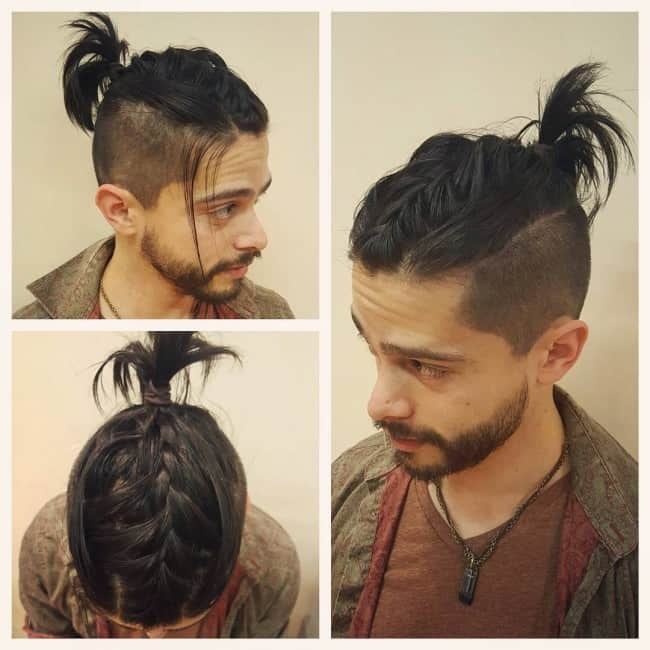 Make a ponytail by pulling the braids or dreadlocks. If you want to have a natural look or somewhat dramatic, then this style will look good on you. Tip: Put a maximum volume of the hair on top as well as in the edge. 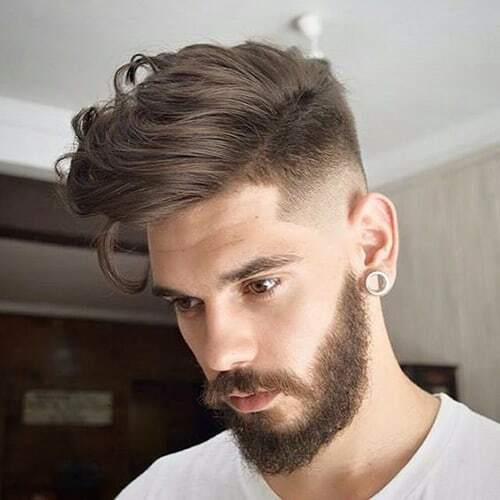 In the current trends on popular hairstyles, undercut has been one in the top of the lists even if it was actually based on the simple hairstyle in the 1940s. 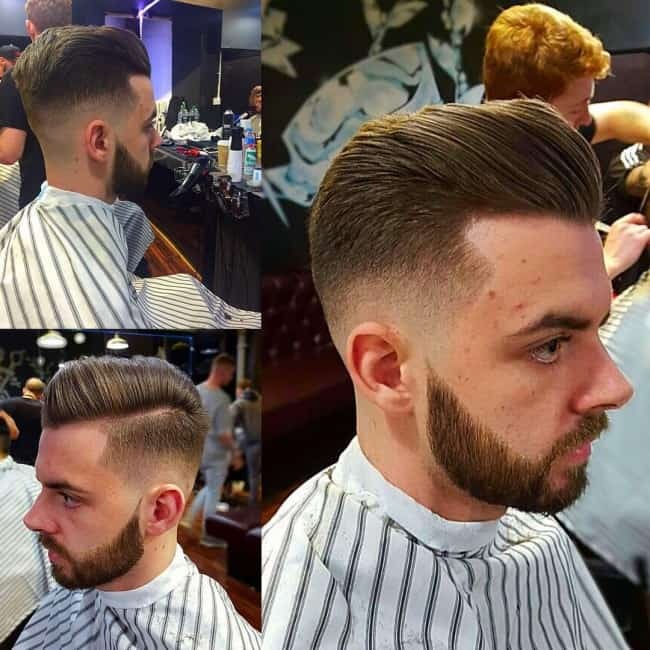 From students to professionals, this type of haircut has been suitable to every man with different hair styles. It does not have any boundaries or limits when it comes to the type and texture of your hair. It actually goes with every man’s hairstyle. The only thing you need to know is how to do undercut properly and how to style an undercut correctly. 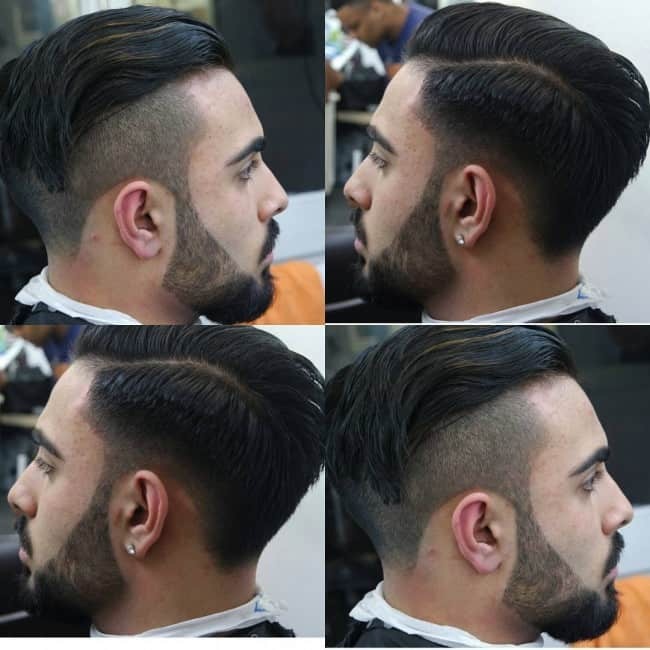 As you have browsed with the several styles of undercut – from classic to modernized variations, you are now ready to achieve a perfect undercut hairstyle. Have it on an extreme way or rather have it as classic style. So, what are you waiting for? 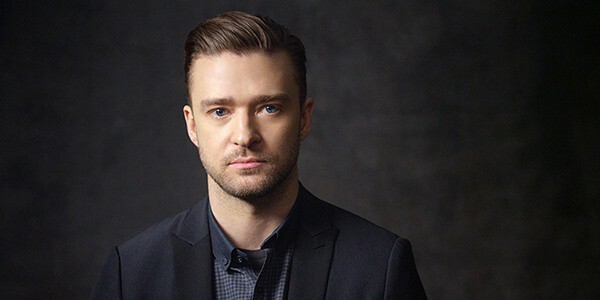 Almost every man has been brave enough to experiment their hair with this kind of haircut. Have the simple yet full of stylish variation of undercut that you will enjoy! There are too many plugins, you can google for it or use Akismet by default. Its also great!